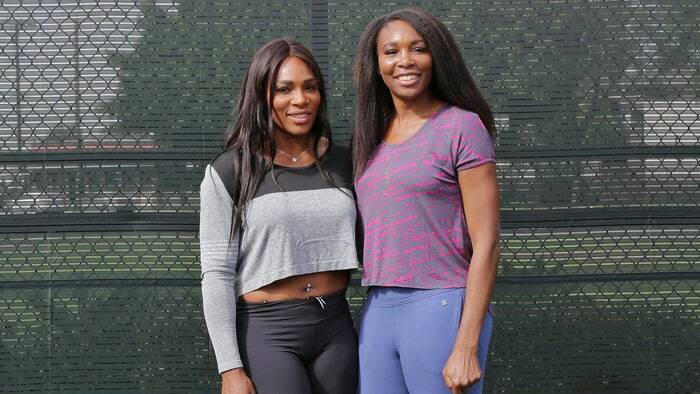 The Williams sisters have an unbreakable bond. Venus Williams sent a sweet message to Serena Williams on Saturday, July 15, after being defeated by Garbiñe Muguruza in the 2017 Wimbledon finals. "I miss you," Venus, 37, told Serena, 35, after the match in a video posted by BBC Tennis. "I tried my best to do the same things you do, but I think there will be other opportunities. I do." Palm Beach Gardens, Florida, U.S.
Serena did not compete in this year's Wimbledon championship as she is pregnant with her first child. Venus and Serena's mother, tennis coach Oracene Price, attended Saturday's match to support Venus. Venus was bidding to become the eldest woman in the Open era to win a Grand Slam title on Saturday, though she was defeated by Muguruza in a 7-5, 6-0 victory. The Spaniard, 23, previously lost to Serena in the 2015 Wimbledon finals. And the American was quick to pay tribute to her opponent, adding: "Congratulations Garbine, amazing. "I know how hard you work and how much this means to you and your family. Well done today, beautiful. "Thank you to my team who have been here day in day out, we've had a lot of beautiful moments in the last few weeks." The Indian eves, courtesy of a brilliant hundred by skipper Mithali Raj and a brilliant bowling performance by Rajeshwari Gaekwad, won the match by 186 runs. The Indian women’s team delivered a comprehensive performance against New Zealand in the group stage to secure a much-needed win on Saturday. The Indian eves, courtesy of a brilliant hundred by skipper Mithali Raj and a brilliant bowling performance by Rajeshwari Gaekwad, won the match by 186 runs. There seems to be no stopping India captain Mithali Raj. On Saturday against New Zealand in the ICC Women's World Cup 2017 match at Derby, Mithali smashed her sixth ODI century. She also brought up her 50th half-century, the first woman to register the 50th score in the fifties in women's ODI history. She had created history to become the leading run-scorer in women's One Day International cricket during the last match against Australia. 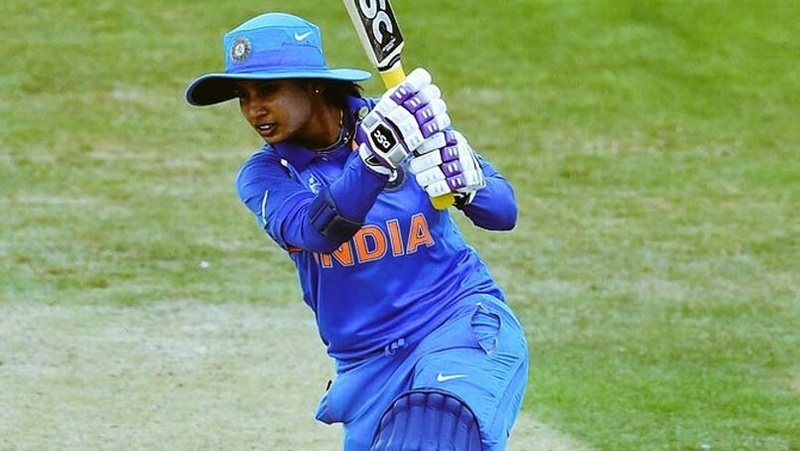 Mithali had gone past Englishwoman Charlotte Edwards' record of 5992 runs and also became the first woman cricketer to touch the 6000-run mark. There are too many records against her name. Earlier she achieved the feat of scoring seven consecutive fifties in ODIs after she played a terrific knock against England in the World Cup. Before her 50th half-ton on Saturday, she had notched the maximum number of ODI half-centuries (49) by any woman cricketer. Virat Kohli is a known admirer of the Indian women's cricket team. 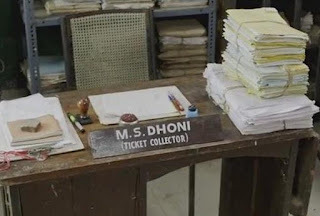 He had even wished the team before the start of the ICC Women's World Cup, being held in England. So it came as a massive surprise when Kohli committed a major blunder while congratulating women's captain Mithali Raj for becoming the highest run-getter in ODI cricket. Mithali created history when she shattered the record of most runs by an individual player in women's ODIs on Wednesday. Wishes came pouring in for the Indian star and among the well-wishers was a certain Virat Kohli, who posted a message for Mithali on Facebook. However, the Men in Blue captain mistakenly used Punam Raut's picture in the post. Kohli, though, was quick to realise his mistake and deleted the post soon after. Five years after his last Wimbledon triumph, Roger Federer can capture a record eighth All England Club title Sunday and become the tournament's oldest men's champion of the modern era. With his 36th birthday fast approaching, the evergreen Swiss will comfortably succeed Arthur Ashe, who was almost 32 when he won in 1975, as Wimbledon's most senior champion. Victory over Croatian giant Marin Cilic will also give him a 19th career Grand Slam title and second in three majors this year after sweeping to a fifth Australian Open in January following a six-month absence. Cilic, the lean and sinewy 6-foot-6 power server is the last man standing between Wimbledon No. 3 seed Federer and an Open era record eighth Wimbledon title. If you haven't been following too closely, you might be tempted to cede the title to Federer now that his Big Four peers -- Andy Murray, Novak Djokovic and Rafael Nadal -- have been driven from the utopian confines of the All England Club. The august quartet has won the past 14 singles titles contested at Wimbledon. But the reality is that Cilic has stayed atop Federer to the buzzer in one Grand Slam encounter, and he wasn't bucked off until the absolute final moment in another. Those are the past two matches the men have played, so you can throw that 6-1 series lead Federer enjoys right out the window. This Croatian cowboy has clung to Federer like a bad memory. Cilic's lone win over Federer was a resonant one. His Bunyan-esque serve won the battle against the Swiss icon's generally effective return in a high-visibility US Open semifinal in 2014. It's a theme that might resurface on Sunday. Then just last year in the Wimbledon quarterfinals, Cilic held three match points before Federer gored him. "I was hoping to be in good shape when the grass court season came around," said Federer who, for good measure, also pocketed back-to-back Masters at Indian Wells and Miami as well as a ninth Halle grass court crown. "The first three, four months were just like a dream really. So this is something I was working towards, you know, Wimbledon, to be in good shape. I'm happy it's paying off here now." 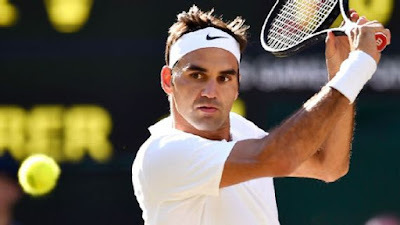 Federer admits his form in 2017 has surprised even himself after he shut down his 2016 season to rest a knee injury in the aftermath of his brutal five-set semi-final loss at Wimbledon to Milos Raonic. He has 30 wins and just two losses this year and he has reached his 11th Wimbledon final without dropping a set. Sunday's match will be his 102nd at the tournament and his 29th final at the majors. "It makes me really happy, making history here at Wimbledon. It's a big deal. I love this tournament," said Federer, who has been tied with Pete Sampras on seven Wimbledon titles since beating Andy Murray in the 2012 final. "All my dreams came true here as a player. To have another chance to go for number eight now, be kind of so close now at this stage, is a great feeling. "Yeah, unbelievably excited. I hope I can play one more good match. 11 finals here, all these records, it's great. I'm so close now." While 'Big Four' rivals Murray, Novak Djokovic and Rafael Nadal failed to even make the semi-finals, Federer has been reborn. He came into Wimbledon having radically pruned his playing schedule, skipping the entire clay court season. When the 2017 season began, few would have foreseen Roger Federer standing on the doorstep of a second Grand Slam crown and tour-leading fifth title of the year. As Federer continues to etch his name in the history books, the Swiss isn’t just sending a loud and resounding message to the rest of the ATP World Tour, but making the case for one of the greatest seasons of all time. On Sunday, Federer will look to solidify his standing as the most successful man to ever grace the lawns of the All England Club, when he bids for a record eighth title at The Championships. He carries a 30-2 win-loss mark in 2017 into the final, which will be a record-tying 102nd Wimbledon match (w/Jimmy Connors). Having not dropped a set all fortnight, the 35 year old is not merely turning back the clock with his ruthless run to the final, but proving that he is more dominant than ever. Employing the same aggressive and authoritative gameplan that saw him lift his 18th major trophy at the Australian Open, seal the Sunshine Double in Indian Wells and Miami, and notch a staggering ninth Gerry Weber Open title, Federer enters the final having dropped just four service games. But another triumph at SW19 won’t be a simple task for the Swiss maestro, with Marin Cilic the last remaining obstacle to Wimbledon immortality. "I don't want to say it's more relaxed going into it because I have a good head-to-head record against Marin, even though the matches were extremely close," Federer said. "But it's not like we've played against each other 30 times." Wimbledon is just his seventh event of the year; 28-year-old Cilic is in his 15th. Federer, revelling in the spotlight of having played all his matches on Centre Court, has hardly been troubled on his way to the final. He has lost serve just four times and spent four and a half hours less on court than Cilic. Federer also boasts a 6-1 career record over Cilic, the 2014 US Open champion who has made his first Wimbledon final at the 11th attempt. However, Cilic's game is made for grass and 12 months ago he led Federer by two sets to love and held three match points in an epic quarter-final which the Swiss superstar eventually claimed. When Cilic won his only Slam in New York three years ago, he demolished Federer in straight sets in the semi-finals. "I don't want to say it's more relaxed going into it because I have a good head-to-head record against Marin, even though the matches were extremely close," said Federer. "But it's not like we've played against each other 30 times. You feel like you have to reinvent the wheel. "It's more straightforward, in my opinion. I think that's nice in some ways. It's a nice change, but it doesn't make things easier." Cilic is only the second Croatian man to reach the Wimbledon final after Goran Ivanisevic, his former coach, who swept to a memorable title victory in 2001. A win on Sunday would also make him the first Wimbledon champion outside of Federer, Murray, Djokovic and Nadal since Lleyton Hewitt triumphed in 2002. Tennis is a game where you can see the end coming from a long way off. Unlike most other major sports, you can’t turn defeat into victory on a single play. But tennis is a sport of momentum, where one point can kick loose an avalanche. Two years after losing in the final here to Serena Williams, Garbiñe Muguruza broke through for her first Wimbledon title with an ultimately commanding and one-sided win over her sister Venus. It was a strange contest – the first women’s final under the roof – which was rich with fight and vim in a long first set, although beset by a mixture of grinding rallies and elementary errors from both finalists, and virtual surrender in the second as the Spaniard drove on to win 7-5, 6-0 in an hour and 17 minutes. If the 37-year-old Williams had been struck by the debilitating Sjogren’s syndrome that first hit her six years ago, she had every excuse, because she had put up stout resistance in the first frame. It has been a tough time for her, all round. Twelve days after she broke down in tears when confronted by questions about a fatal car accident that still hang over her, Williams could not find consolation in victory. Her collapse was dramatic, although she took defeat stoically, knowing she had been beaten out of sight by a young opponent who found all her weapons working perfectly at just the time when the energy vanished from the American’s tennis. When the 23-year-old’s challenge revealed Williams’ last forehand to have landed long, she crouched down in disbelief with her face planted in her hands. Muguruza earns £2.2million for this win at the All England Club and also makes up for finishing runner-up to Venus’ sister Serena in the final of two years ago. When Muguruza landed her first major title at Roland Garros last year, she had been circled as the natural successor to Serena as the queen of women’s tennis. Results, however, had largely failed to meet expectations until this year, when she has rediscovered the sort of form to suggest this will not be her last grand slam success. It was Williams’s turn to suffer in the next game. She saved one break point for deuce but overcooked a cross‑court drive and Muguruza sensed an almost indiscernible weakening in the American as she stepped up to serve. There was just one point between them – and then a whole set. Muguruza produced the shot of the match, a perfectly judged lob that outfoxed Williams and gave her two set points. Williams found the ad corner to save the first but the net with a backhand to lose the second. If age had wearied her limbs it had not invaded her spirit and, knowing she would have to win two sets in a row to lift the title, she settled down to the chore, but the mistakes mounted, worryingly. When she double-faulted after a successful Spanish challenge of a called ace on a first effort, the break gave Muguruza a noticeable lift at the start of the second set. Muguruza showed guts to sneak a nerve-shredding opening set, saving two set points before hitting Williams decisively one game later. She then showed ruthlessness in the second as she blew Williams away in six games that lasted just 26 minutes. “I had I think the hardest match today against Venus,” Muguruza said. Muguruza had not yet turned four when Williams played her first match in the main draw at SW19 and the American may never have a better chance to win her eighth grand slam title. “Congratulations Garbine, amazing,” Williams said. Spitting rain meant the contest started with the roof closed on Centre Court and under it Virginia Wade, Martina Navratilova and the King of Spain no less, Juan Carlos de Borbon, were all watching on from the Royal Box. Williams started with an 109-mile-per-hour ace and if anyone was nervous it was one of the line judges, who let go a serve which on review was shown to have been half a yard out. Muguruza, with her left thigh strapped, opened with a double fault, the first of five in the opening seven games alone as each invited early pressure onto their serve. Neither took advantage but Williams came again at 5-4, this time with two set points when Muguruza missed a pair of routine forehands. A breathtaking 19-shot battle from the baseline might have turned the match a different way but Williams hit the net before a booming Muguruza serve averted danger. Now, at 5-5, it was Muguruza’s turn to crank up the pressure. She missed one break point but grabbed the second as Williams finally caved with a floating forehand long. The crowd held its breath as Muguruza emerged to serve it out and then opened up two set points when a brilliant backhand defence looped over Williams and onto the line. Williams slapped into the net again and Muguruza moved one set to the good. Williams had come within a whisker of winning the opening frame but you would not have known it in the second as Muguruza snatched an early break and then two more to lead 5-0. All the momentum and belief seemed to have vanished from Williams’ game and the only disappointment for Muguruza was that her celebration had to wait for the result of her review. When it arrived she could barely hold back the tears. Looking down from the stands was her coach, Conchita Martínez, who took part in the last Spanish-American final, beating Martina Navratilova in 1994. History is never far from any racket in tennis. 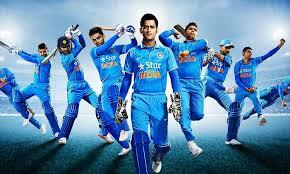 Just half an hour into the final, the match looked as if it would be one of the longer ones – which the game badly needs. There have been some terrific contests the past fortnight – Johanna Konta’s matches against Donna Vekic and Simona Halep and Muguruza’s three-setter against Angelique Kerber in the fourth round. She had lost her serve only four times to get here. But, even though the rallies remained long, the bruises mounted quickly. If she was going to stay in the fight, she needed a quick hurtful counter to stop her lively opponent’s momentum. Muguruza still had to play flat out to hold for two-love but the power suddenly drained from the Williams serve, down to 80 miles an hour, allowing the Spaniard to dictate the points. There were no cheap points on offer and even when the ball did sit up for her, Williams could not put it away, butchering a forehand volley at the net that handed Muguruza another break. The first set had lasted 41 minutes; a quarter of an hour into the second, the contest was dissolving with bewildering speed.